Smaller sources of air pollution are known as “Area Sources.” Unlike large, very obvious, single sources of pollution, like industrial smokestacks, Area Sources are smaller activities by businesses or facilities that, when measured across a group of sites, can accumulate to large amounts of pollution impacting Delaware’s air quality. The amount of pollution regulated as an “Area Source” begins at two-tenths of a pound per day and is limited to less than 10 to 25 tons per year before being considered a major source of pollution. 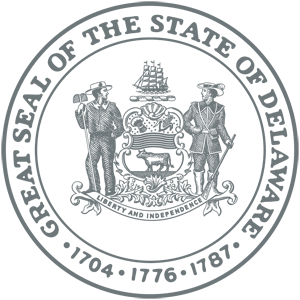 The Area Source Program has differing requirements and forms for different industries and businesses. VOCs: Regulated reactive VOCs are defined in 7 DE Admin. Code, 1101. 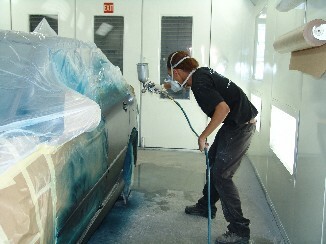 Auto body shop VOC emissions are regulated under 7 DE Admin. Code, 1124, Section 11. HAPs: The regulated HAPs are Nickel (Ni), Cadmium (Cd), Chromium (Cr), Lead (Pb), and Manganese (Mn). Coatings containing these pollutants are regulated under 7 DE Admin. Code, 1138, Section 15. Methylene Chloride (MCD): Any auto body shop using methylene chloride for paint stripping operations is regulated under 7 DE Admin Code, 1138, Section 13. No Actions Required: Those facilities which emit less than 0.2 pounds per day of any air pollutant are exempt from regulatory control. This status must be supported by record-keeping. Registration: Those facilities which emit 0.2 pounds per day or more, but less than 10 pounds per day are required to register their pollution-causing equipment. Accurate detailed record-keeping is required to establish and maintain registration status. Permits: Those facilities emitting 10 pounds per day or more of any air pollutant are required to apply for and obtain an Auto Body Source Category Permit (sample). For permit conditions and additional information please see the permit example. Perchloroethylene: Emissions from Dry Cleaners using Perchloroethylene (Perc) are regulated because it has been identified by the EPA as a Hazardous Air Pollutant (HAP). Regulation of facilities using Perc as a dry cleaning solvent is provided under 7 DE Admin. Code, 1138, Section 5. Petroleum Solvents: Emissions from dry cleaners using petroleum solvents are regulated under 7 DE Admin. Code, 1124, Section 38. 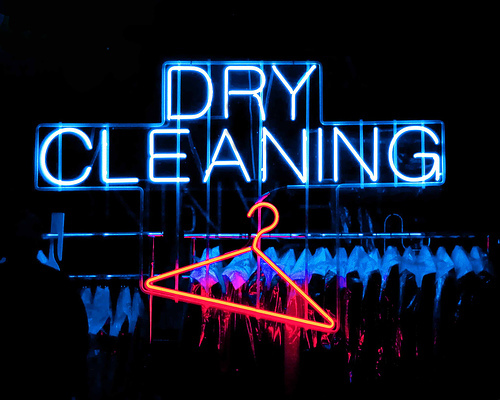 Other Solvents: Emissions from Dry Cleaners using other solvents are regulated under 7 DE Admin. Code, 1102. No Action Required: Those facilities which use petroleum solvents (or other non-Perc solvents) and emit less than 0.2 pounds per day of any air pollutant are exempt from regulatory control. This status must be supported by record-keeping. Registration: Those facilities which use petroleum solvents (or other non-Perc solvents) and emit 0.2 pounds per day or more, but less than 10 pounds per day are required to register their pollution-causing equipment. Accurate detailed record-keeping is required to establish and maintain this status. Completion of the Registration Worksheet is required. Permits: Those facilities using Perc as a dry cleaning solvent are required to apply for and receive a Perchloroethylene Dry Cleaner Source Category Permit. For permit conditions and additional information please see the permit example. Gasoline vapor emissions are regulated because of their Volatile Organic Compound (VOC) and Hazardous Air Pollutant (HAP) content. VOCs: Regulated reactive VOCs are defined in 7 DE Admin. Code, 1101. Gasoline Delivery Vessel VOC vapor emissions are regulated under 7 DE Admin. Code, 1124, Section 27 and controlled through mandatory vapor collection and return to the delivery vessel. HAPs: The EPA has identified many HAPs in the complex mixture called gasoline. Primary constituents of concern are: Benzene, Toluene, Ethyl benzene, and Orhtho-, Meta-, and Para-xylenes. These carcinogenic pollutants are regulated under 7 DE Admin. Code, 1124, section 27 and controlled through mandatory vapor collection and return to the delivery vessel. Permits: Those gasoline delivery vessels making a drop (delivery) to any Gasoline Dispensing Facility (GDF) in Delaware are required to apply for and obtain a Gasoline Delivery Vessel permit prior to any delivery. This permit can be applied for online. For permit conditions and additional information please see the permit example. 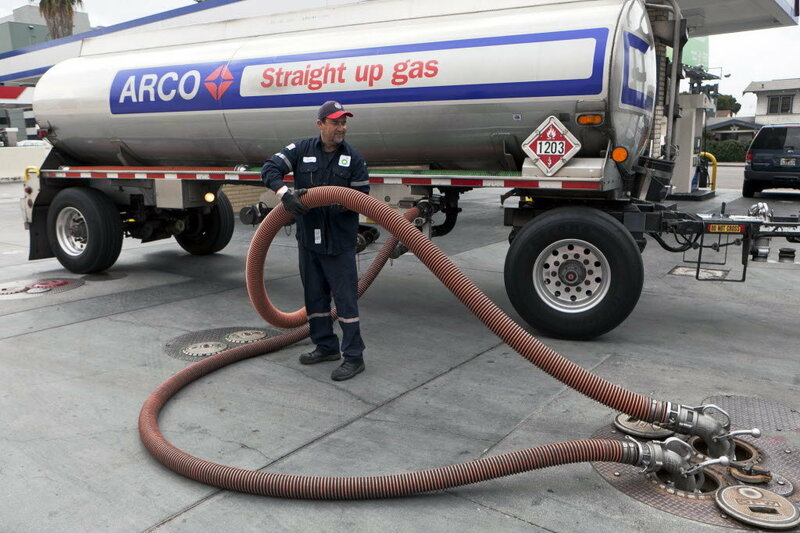 Vapor-Tightness Test: Gasoline Delivery Vessels must verify vapor-tightness annually as demonstrated by Method 27 of 40 CFR Part 60 Appendix A. 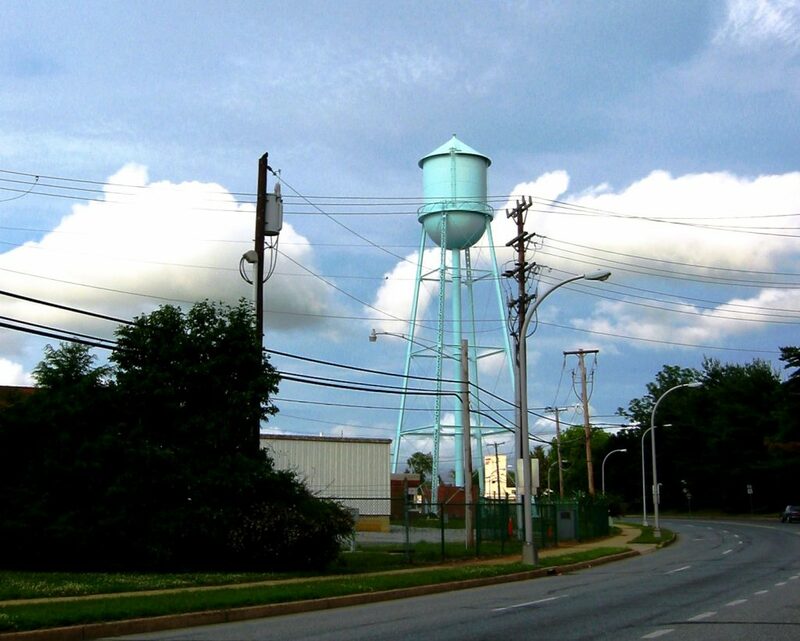 An air quality permit is required for sandblasting of outdoor water tanks in Delaware. Projects removing lead-containing coatings from water tanks by use of dry abrasive blasting must obtain a permit from DNREC’s Division of Air Quality. Lead: Water tanks used for irrigation systems, firefighting, manufacturing processes, farm stock watering, and municipal water supply have, in the past, been coated with paints that contain lead or lead compounds. Lead is a public health concern. Exposure to high levels of lead can cause damage to the brain and kidneys. Lead can, even at lower levels of exposure, permanently affect a child’s mental and physical growth. Dry-Abrasive Blasting: Dry abrasive blasting is the process of propelling an abrasive material under dry, pressurized conditions against a surface, to remove coatings or to prepare the surface for subsequent coating. Dry abrasive blasting, also referred to as sandblasting, is often used to remove paint from water tanks before they are repainted. Permits and Notification: DNREC has developed a permit containing requirements that will ensure that blasting operations have sufficient containment measures to prevent the release of abrasive material into the environment. Applicants can refer to a flow chart to help determine if they need to apply for a permit or just to submit a notification form. A Delaware Environmental Application Background Statement must be completed and submitted with the permit application.